'Autumn Queen' (Hans Peter Sass, 1926). DB, Early bloom and rebloom. Color Class-W1. 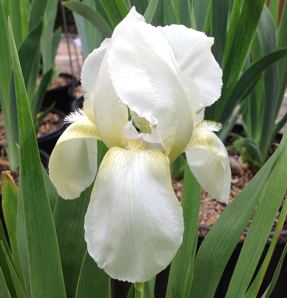 Note: Also listed in Sdb web because of height variation: 'Autumn Queen'. JPG autumnqueen01.JPG manage 577 K 28 Apr 2018 - 03:17 Main.TLaurin Photo by Nancy McDonald-The Pickle Barrel Collection.